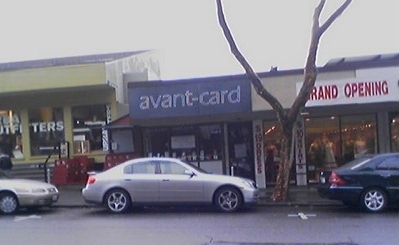 First it was a 50% off clearance sale at card and gift shop Avant Card, squeezed between hipster heaven (Urban Outfitters) and the store that used to be Express at some point in the past. Now it’s come to this. We spied a handwritten “closed” sign on the door and peered in closer to see boxes on the floor and someone putting things away. In all seriousness, the Clog will miss the store. Let’s pour one out for our homie. they’re not closing. they’re restocking.